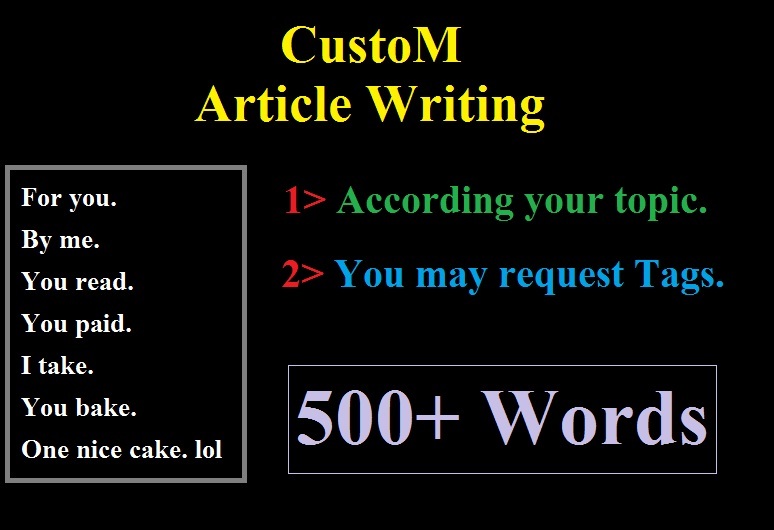 Black-friday Sell Offer: you will got a custom article contains 500 words. I will be writing quality article in perfect English and grammatically correct sentences for you and it should be fresh and original containing 500+ words. And also should use the specific words you are need to input according and in well prospects! It will be typed manually by human (me) and send as a Microsoft Word doc file. Its going to be 100% original content written by me. And its also copyscape clear. Black-friday Sell Offer :- Nice & Unique Article 500 Words is ranked 5 out of 5. Based on 1 user reviews.